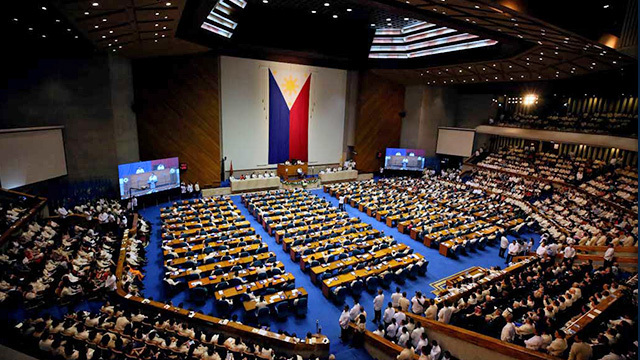 Despite the popular backlash against the first package of the Tax Reform for Acceleration and Inclusion (TRAIN) law that is being widely blamed for rising inflation, President Rodrigo Duterte urged Congress to pass the remaining five packages of his administration’s tax reform program by the end of the term of the current Congress in May 2019. The appeal was one of the highlights of his third State of the Nation Address (SONA) delivered on Monday, July 23. Consumer prices rose 5.2 percent in June from a year ago, the biggest increase since October 2011, prompting widespread criticism of the first package of the TRAIN law. Taking effect in January 2018, the first package of the TRAIN program cut personal income taxes but raised excise taxes on fuel products, motor vehicles and other products. It also removed the exemption from value added taxes (VAT) of a number of products and services. Related story: SONA 2018: Is Duterte Delivering on His Economic Targets Under the 6-Year PH Dev’t Plan? The new tax law took effect just as world crude oil prices were also going up, exacerbating the impact of global energy costs on local fuel petroleum prices. It also came as domestic rice prices surged due to delays in the government’s decision to import rice to mitigate local supply constraints. Still, Duterte’s commitment to tax reforms, a key pillar of his administration’s economic program, remains strong. "We cannot and should not" stop TRAIN, said Duterte in his 48-minute speech that largely stuck to the script and was free of his usual expletives. He even ignored the political squabbling for the leadership of the House of Representatives between Speaker Pantaleon Alvarez and former President Gloria Macapagal Arroyo that delayed his speech for more than an hour. Duterte defended his administration’s handling of the adverse impact of the TRAIN law. “We have distributed unconditional cash transfers to four million people, and we will help six million more this year. Following the one-peso discount per liter in gas stations, we have also started releasing fuel vouchers to public utility jeeps and other valid franchises. “This year, we are giving Php149 billion worth of subsidies to the poor and vulnerable. The next year it will be increased to Php169 billion,” he added. He added that the government is addressing the problem of high rice prices by moving for liberalization of rice imports. “We need to switch from the current quota system in importing rice to a tariff system where rice can be imported more freely. This will give us additional resources for our farmers, reduce the price of rice by up to 7 pesos per kilo, and lower inflation significantly. I ask Congress to prioritize this crucial reform, which I have certified as urgent today,” the president said. After the first TRAIN law, the government is also proposing five other proposals called Package 1B (estate and general tax amnesty, motor vehicle user charge, bank secrecy and automatic exchange of information), Package 2 (corporate taxation and fiscal incentives), Package 2 Plus (taxes on tobacco, alcohol, mining, coal and casinos), Package 3 (property taxation) and Package 4 (passive income and financial taxes). Package 2 has already been submitted to Congress but the rest will be filed by the end of the month, the president said. “By end of July 2018, all packages of TRAIN would have been submitted,” he vowed. A part of the president’s speech was dedicated to Filipino laborers, particularly farmers. “Our farmers, especially our coconut farmers, form a significant part of the basic sectors of society. It is from the toil of their hands that we put food on the table,” he said. He then urged legislators to pass the coconut farmers’ trust fund. Under this fund, all assets and benefits from the coconut levy will be consolidated and distributed exclusively to coconut farmers and other farm workers covered by the Coconut Farmers Development Plan. Similar bills establishing a coconut farmers’ trust fund have been separately approved by the House in September last year and by the Senate in March this year. “It is my hope that we finally see this through. I urge you, Congress, to convene the bilateral conference committee and pass at the soonest possible time the bill establishing the coconut farmers’ trust fund,” he said. In his second SONA last year, the president already warned the mining industry to do their business properly, particularly in the filing of their financial statements. This year, however, he focused more on the environmental damages the industry is causing and reiterated the consequences these firms might face if their negligence is proven. “To the mining industry I say this once again and maybe for the last time. Do not destroy the government or compromise our resources. Repair what you have mismanaged. Try to change management radically because this time you will have restrictive policies—the provision of open pit mining is one,” he said. One of the results of irresponsible mining is the discoloration of the country’s rivers, including the one in Diwalwal, which Duterte described as contaminated and colored black. Duterte did not provide assurances on when the new major telecommunications player would be named, but assured interested investors they will enjoy an even playing field. The president confirmed that the bidding process for the NMP would be open even for foreign players, despite current laws that restrict them from owning companies that provide public services. He also did not mention a timeline on when will the NMP be named, a concern for most stakeholders as the selection process had been repeatedly delayed in the past year. On July 20, the Department of Information and Communications Technology (DICT) said that it has agreed with the oversight committee in charge of the selection process of the new major player (NMP) that it will use the Highest Committed Level of Service (HCLoS) as the mode of selection. It said the new terms would be available by August. The president also used the SONA anew as an opportunity to lobby for the National Land Use Act. After discussing his order to shut down the tourist-magnet Boracay Island due to its mounting environmental problems, he urged the Senate to prioritize the passage of the said bill. He also declared the same policy as urgent in last year’s SONA. According to a report by the Philippine Star newspaper, Senate records show that there are three bills on land use currently pending at the Committee on Environment and Natural Resource. 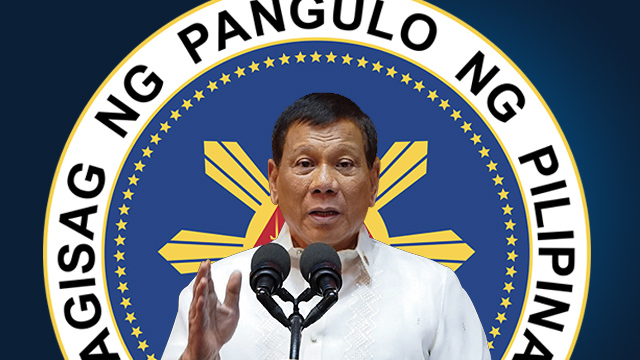 After signing “No Balance Billing Policy” law in 2017, Duterte gave an update on his promise to further provide “health care for all.” Early this month, the President certified the Universal Health Coverage bill urgent, which he has further emphasized in his SONA. The bill seeks to guarantee that all Filipinos have access to “cost-effective, preventive, curative and rehabilitative health services.” The House of Representatives had already passed its final version of the measure in October 2017, but the Senate only passed its version of the bill on first reading in February 2018.